In Sacramento, California a war of words is playing out between Sacramento County Sheriff Scott Jones and California State Auditor Elaine Howle. Howle wants the sheriff charged with misdemeanors because she said he illegally publicized audit information before he was authorized to do so. 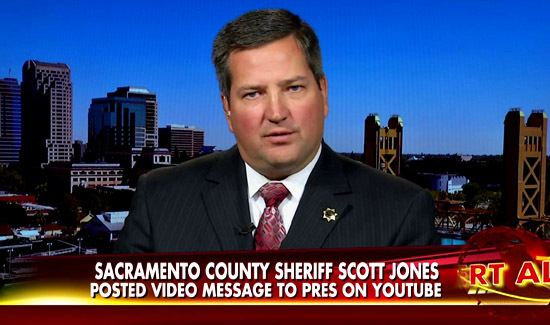 “As the elected Sheriff charged with enforcing the laws, these accusations continue to defame my professional and personal reputation and adversely affect my family, and your continued course of attempted prosecution is clearly misguided and motivated by malice,” Jones wrote in the public statement to Howle. Sacramento District Attorney Ann Marie Schubert continues to review Howle’s allegations against Jones, said spokeswoman Shelly Orio.